Franklin Serenity Lay Flat Recliner Review - Is It a Good Sleeper Recliner? 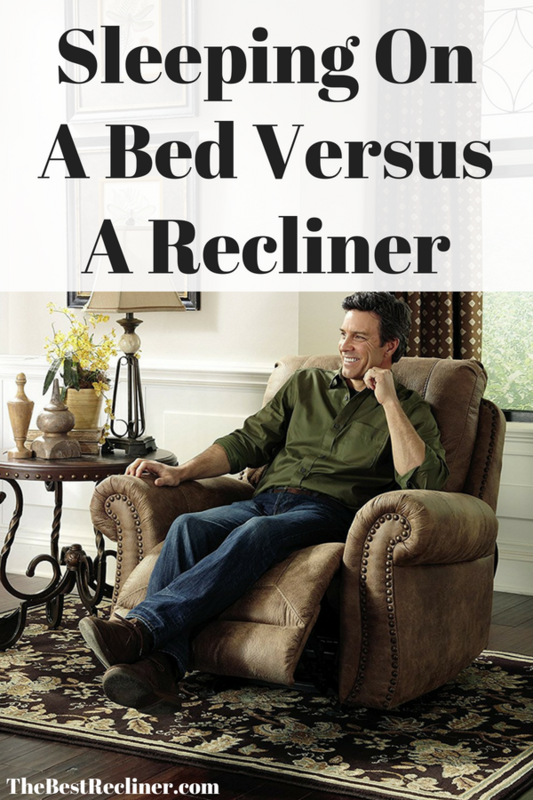 Home » Blog » Franklin Serenity Lay Flat Recliner Review – Is It A Good Sleeper Recliner? The Frankin Serenity Lay Flat Recliner is a solid choice for a person that is looking for a comfortable, space saving recliner that is ideal for sleeping on. This recliner chair is more suitable for the smaller individual. If you are big and tall, then check out these oversized recliners as they will be more suitable for your larger frame. To find out more details on this Franklin Serenity Manual Wall Hugger Lay Flat Recliner, read on with this review. If you are in a hurry and want to see the price of this recliner, then follow the Amazon link. Franklin Corporation is a large privately owned furniture manufacturing company, based in the United States. Since 1970 Franklin have been making high quality furniture and developed an impressive reputation for building solid and reliable recliners. Every piece of Franklin furniture is almost entirely built on site, guaranteeing high quality results. First of all, this recliner chair is only 34″ wide, 34.5″ long and 38″ high. It is not a large chair but more of a space saving recliner, ideal for small spaces. Although it is small in stature it is solidly built. The frame is made of furniture grade plywood and hardwood plywood. The frame is reinforced for added strength giving it a weight capacity of 275 lbs. Not bad for a small scale recliner. The reclining mechanism is 8 gauge counter balance and gravity operated, allowing it to recline back to an almost fully flat position. This is a very impressive feature to have and is ideal for people that like to sleep on a recliner. Most recliners allow a more comfortable sleep compared to a regular armchair, however fully flat sleeper recliners are hard to come by, so a recliner like this is a popular choice for anyone that likes to sleep on their recliner. The recliner suspension is made with 8 gauge sinuous springs and covered with 1.8 density gel injected foam. The gel foam and spring system makes for a well supported and comfortable seating area. 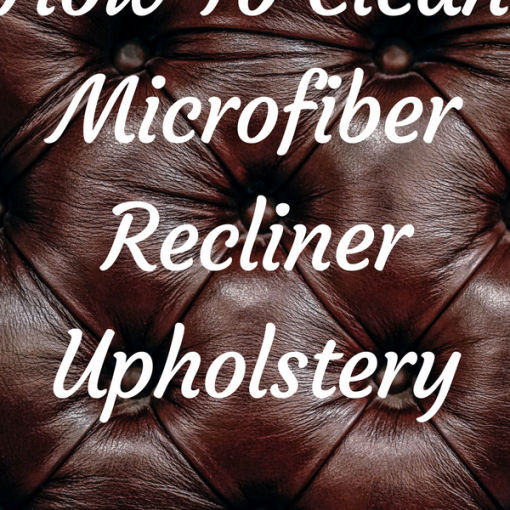 The upholstery is made of 100% polyester fabric that is very soft to the touch. This is a Wall Hugger Recliner that only needs around 5 inches of space between the back of the recliner and the wall, to allow a full recline without hitting the wall. 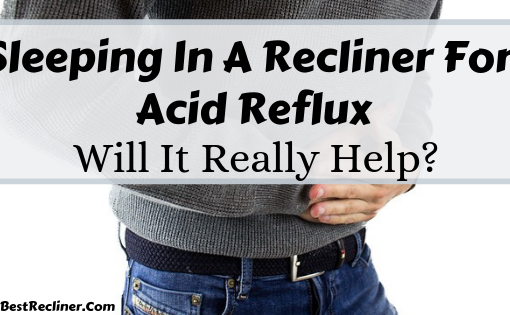 The recliner can recline to a fully flat position, making it a perfect choice for people that like to take a nap or have a deep sleep on their living room chair. It is a space saving recliner. Not only because it is a wall hugger and can be stored almost fully against a wall and still recline, but also because it is small in size and is perfect for small size rooms. Solidly built construction, giving a decent weight capacity of 275 lbs. Gel injected 1.8 density foam, gives a firm memory foam feel to it. Furniture grade plywood & hardwood plywood frame. Mortise & tenon joint construction. Frame is glued, stapled, & reinforced for added strength. 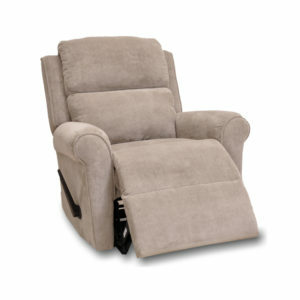 The Franklin Serenity is a small, solid and comfortable recliner that has two great features. I really like wall hugger recliners because they are great space savers. 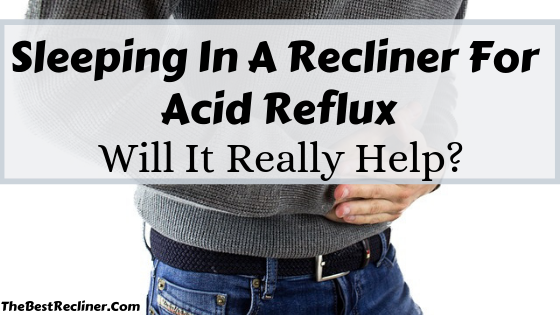 Having to pull the recliner away from the wall so that you can recline the chair is not only a chore but it can also be quite difficult for some. Only needing 5 inches of space between the back of the recliner and the wall to reach a fully flat position is really a bonus feature to have. As a person that likes to take a nap on my recliner, having the ability to recline back to a fully flat position is fantastic. This recliner will be wonderful for taking a daily nap or if you need a makeshift bed. Recliners have become very popular as a sleeping aid for people that are finding it difficult to sleep on their bed. I really like memory foam feel of not only pillows but furniture as well. The firm but comfortable feel of this recliner makes it a popular choice and also the sturdy construction should make this chair last for a while. One issue I have with the chair is its size. It is quite small. 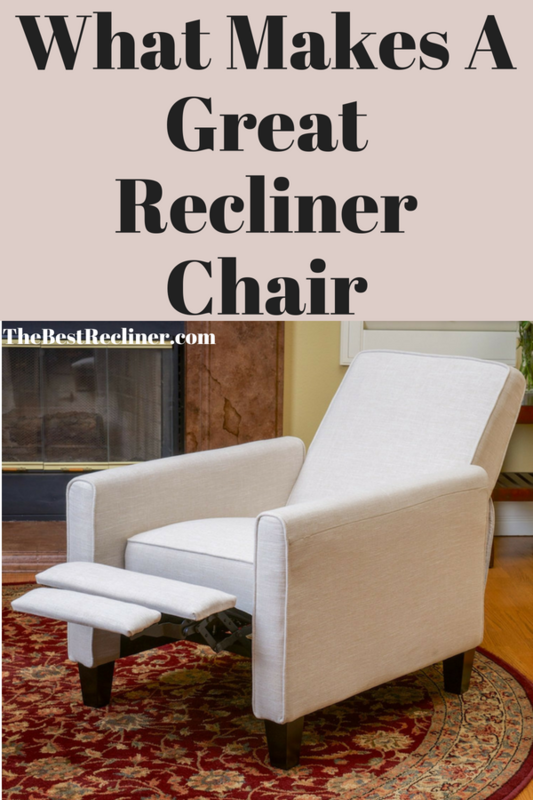 This is perfect for small people and for small living rooms, however if you are over 5’6″ in height, then this recliner maybe a little too small for you. 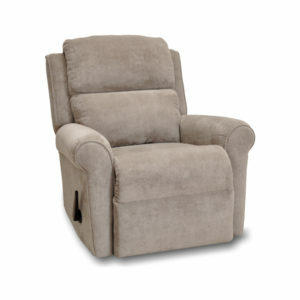 Overall, the Franklin Serenity is a great little recliner and one I would recommend. 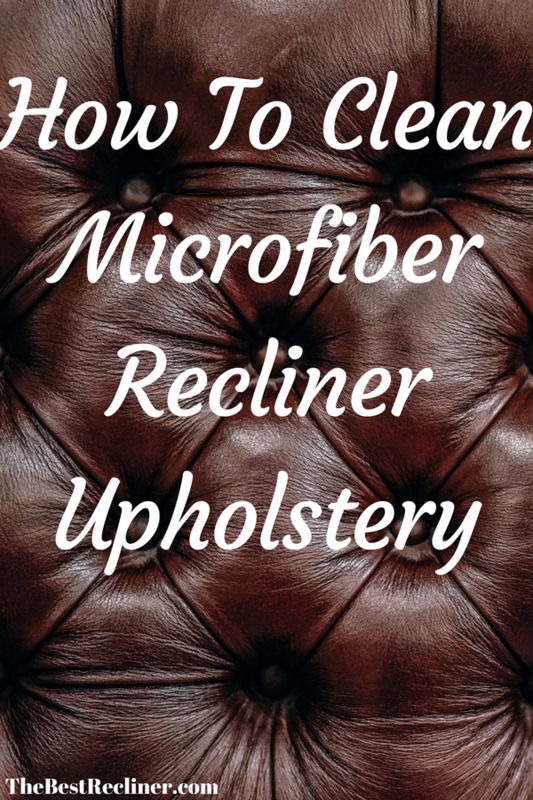 I hope you found the Franklin Serenity Manual Wall Hugger Lay Flat Recliner Review helpful and it helped you decide whether this small recliner is a good choice for you. Previous post Dorel Living Camouflage Rocker Recliner Review – Is It Ideal For You?